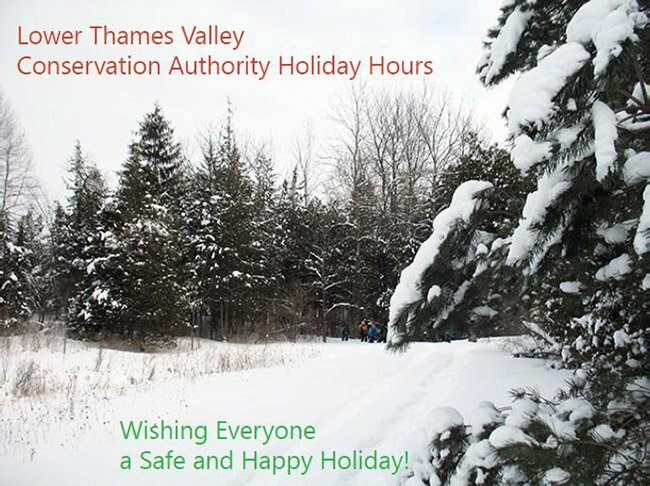 The LTVCA Administration Office at 100 Thames Street in Chatham will remain open on December 22 until 3:00 pm; and will reopen for Wednesday and Thursday December 27 and 28 at 8:30 a.m. It will be closed on Friday, December 29 and reopen on Tuesday, January 2, 2018. The Longwood Road Conservation Area Resource Centre will be closed beginning at 3 p.m. December 22 until January 2, 2018 at 9 a.m. The conservation area will be open 7 days a week pending good road conditions.